Whenever an individual has been involved in a traffic accident, they have an obligation to stop and to provide their information to the other party. This responsibility remains whether you strike another vehicle, a pedestrian, or an inanimate object like a fence. There are two key types of hit and run. Hit and run attended is when you are involved in an accident with another individual. For example, if you strike another car with a person in it and then flee, that is hit and run attended. On the other hand, if you strike a parked car with no one in it, or in the alternative, a fence and then flee, that is called hit and run unattended. Hit and run attended is a gross misdemeanor which means the maximum penalty is 364 days in jail and a $5,000 fine. There is no mandatory jail with a conviction but the most damaging of penalties is the mandatory 1 year license suspension. 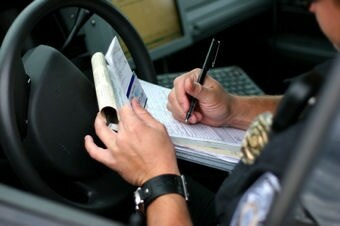 Additionally, it is considered a strike for Habitual Traffic Offender (HTO) purposes. Whether you are charged with attended or unattended, a conviction will also typically come with a restitution requirement. This means you will be responsible to pay for the damages you caused. If you had insurance, that should cover the damages. The victim is not permitted to get fully compensated from your insurance company and then also directly from you through the criminal case. The goal is to make them whole again not to enrich them. Hit and run unattended, instead, is a misdemeanor which means the maximum penalty is 90 days in jail and a $1,000 fine. A conviction does not come with mandatory jail or a license suspension. It also does not count as a strike for HTO purposes.